You might need to sell a vacant home for any number of reasons — perhaps it’s a newly built home, the seller has already relocated, or maybe it’s a rental and the tenants have just moved out. Of course, vacant homes can take longer to sell. 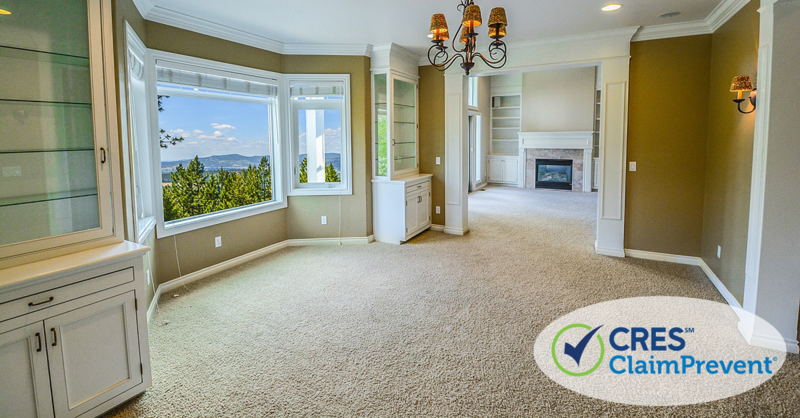 Empty homes can make it difficult for prospective buyers to visualize how the home can look furnished. They can also lack character and highlight a property’s imperfections. But, more importantly for you, selling a vacant home can also bring with it a greater level of risk for an agent or property owner. To ensure a smooth sale, take the following best practices to heart. So often a homeowner or tenant moves out and utilities are cut off immediately, making it very difficult to show the home in its best light (no pun intended). This can be a special challenge in homes without natural lighting. Also, if the home you’re selling is in a very hot or cold area, showing it can be rather uncomfortable. The issues here move beyond saleability. Poor lighting means you may miss potential hazards in the home. The last thing you want is someone tripping up the stairs or bumping into door handles accidentally (which can have legal ramifications). To avoid potential danger, encourage your property owners to leave the power on. This helps to ensure a safer process and a quicker sale. Too often, owners of vacant homes on the market neglect regular maintenance. Especially in the case of foreclosures, the banks simply want to sell the homes quickly, “as is,” and for the best price. Regardless of who owns the home, maintenance issues usually escalate without someone living there. Water damage is a common maintenance issue for vacant homes. One small leak can escalate into mold — or even flooding. This puts you, the agent, at a serious health risk. You also risk the health of your prospects, which can become a legal issue if you’re not careful. Electrical fires and gas leaks are much more common in vacant homes than you may think. Smoke detectors are only effective if someone is around to hear them. Without a resident as a stopgap, a small spark can quickly expand into thousands of dollars worth of damage. In 2012, a gas leak in a vacant home turned into a fatal explosion — killing an unsuspecting real estate agent who was simply preparing the home for a family with young children. Had the family arrived just a few minutes earlier, the leak may have claimed even more lives. According to an INMAN special report on real estate agent safety, vacant homes allow for some of the most vulnerable circumstances in the industry. Without someone living in the home, open windows, open doors or security system failure can become safety and security hazards for you and your prospects, and huge problems for the seller. Squatters, theft or vandalism may not be your fault, but you may still be blamed. Consider negotiating for daily protection of the property. At the very least, your seller should be impressed that you have thought of every angle. Point out to your clients the many advantages of vacant property maintenance. You may also want to take it upon yourself to check on the state of the property ahead of inspectors and prospects. Turning up the same time as the prospective buyer and being surprised by a raft of maintenance issues and hazards is a waste of everyone’s time, including yours. It may also potentially damage your reputation and possibly your pocketbook if a lawsuit ensues. Check your insurance policy to make sure you’re protected from the risks when selling vacant properties. CRES real estate E&O + ClaimPrevent® policies can include Open House and Showings coverage. And every policy includes Legal Advisory Services 7 days a week. So, if an issue arises and you need some legal guidance, you can contact CRES for advice and guidance. With more than 20 years of experience protecting real estate agents and brokers, we want to protect your real estate business as much as you do. Contact us on our toll-free number 800.880.2747 to find out more.